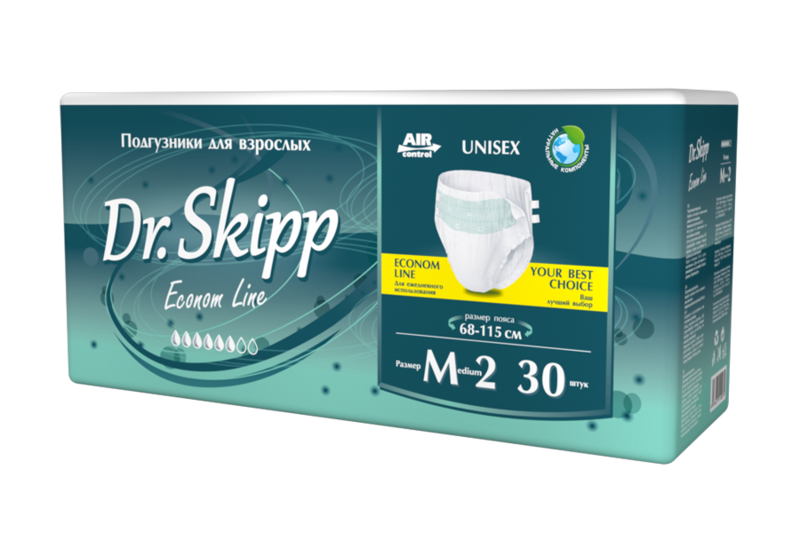 Our adult diaper line, ‘Dr.Skipp Econom,’ stands out thanks to its convenience, comfort and appealing packaging. These products are designed with the intention of fulfilling the needs of adults with medium to high intensity cases of incontinence, as well as provide assistance to people with short term/long term disabilities. 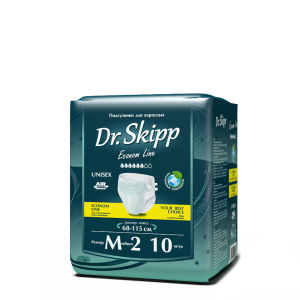 High quality materials from well-known manufactures such as Weyerhauser (USA), and Sumitomo (Japan). 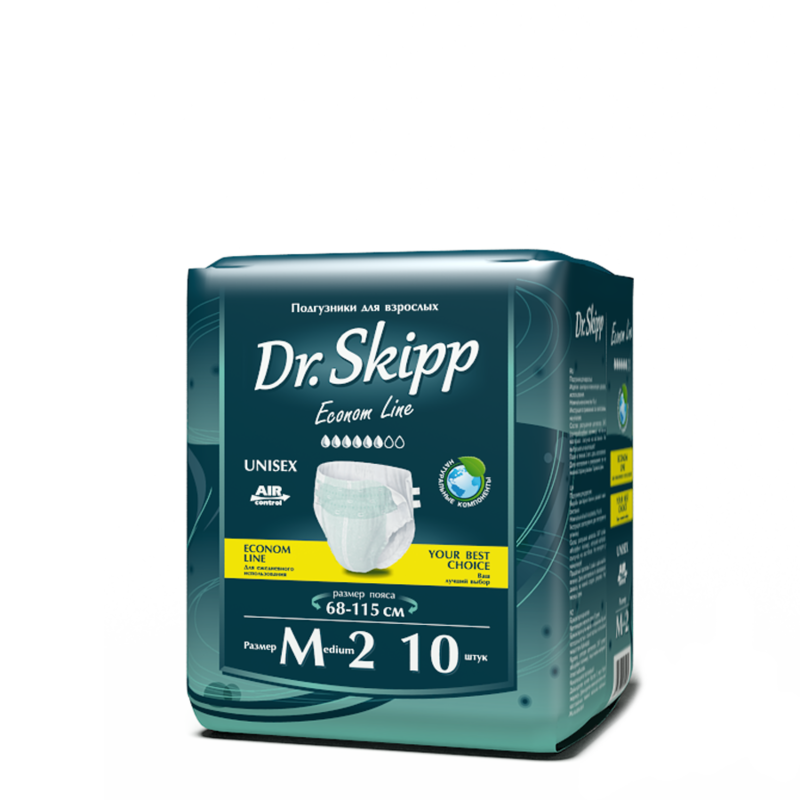 Our products are lighter by 10%. 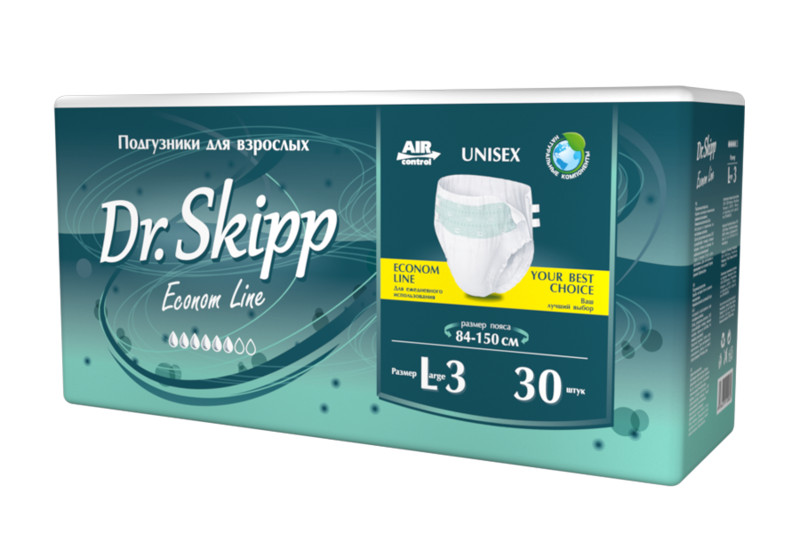 They are thinner and softer than other products on the market. 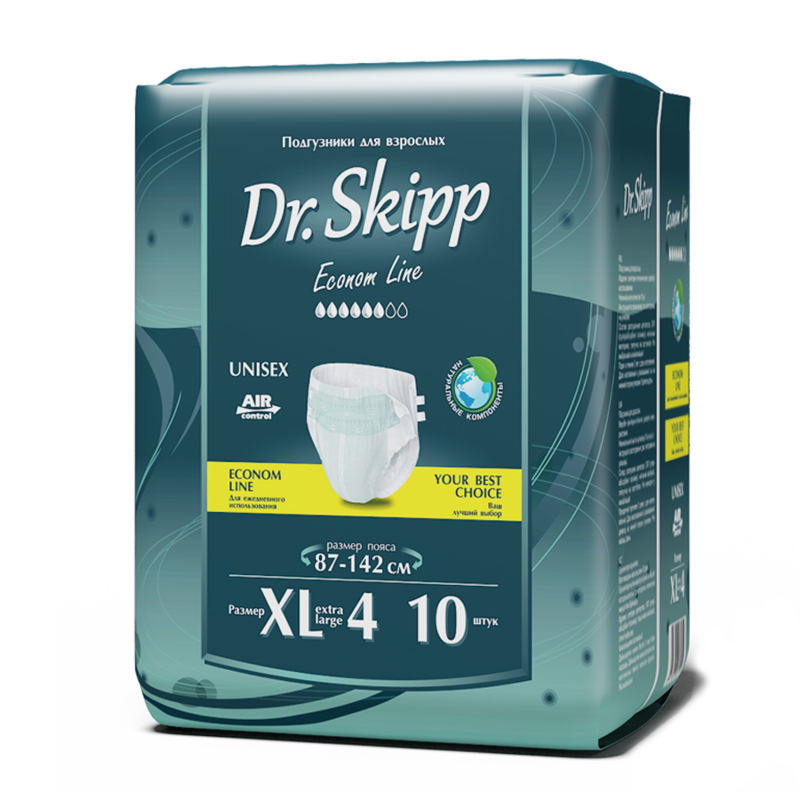 Comfortable fit thanks to its extended elastic waistband. 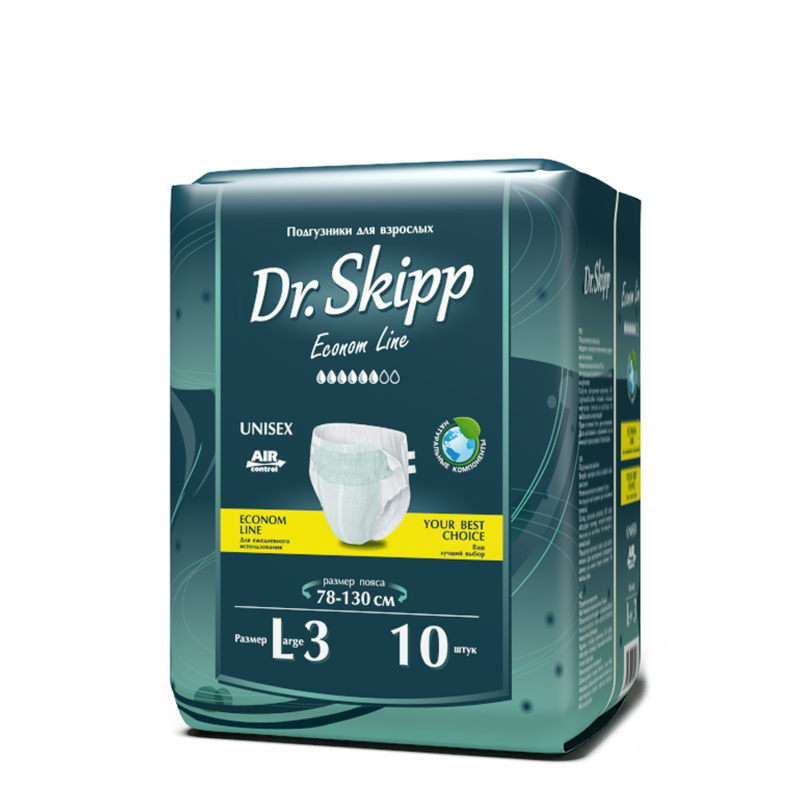 Reliable retention of wetness due to the additional protective barrier in the leg area. 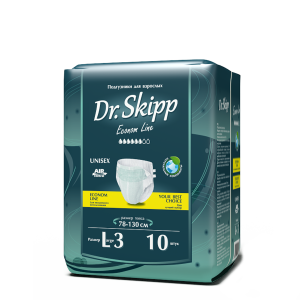 The 4 strap locks and wide front tape provide reliable fixation, even after excessive use. Easy to understand and precise absorption indicator. An appealing and natural design. Big savings come with these low prices and reliable products. 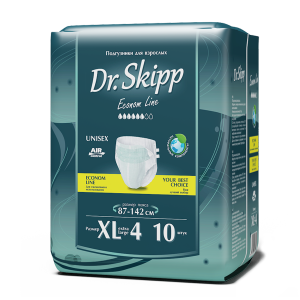 By purchasing Dr.Skipp Econom, you are making the right economic decision for your family.